Recycle Car for Charity - It's Easy, And You Get Free Towing! Recycle Car Donation – It’s Easy! 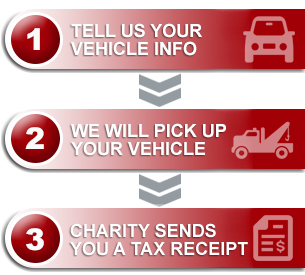 Recycle car removal and donation can be as simple as a few clicks or a phone call away. If your vehicle is recycle ready we can turn it into a donation that will help support your community, your country, or even your world! Your recycle car can make a dollars and cents difference en route to becoming next year’s pop cans! Recycle Car – Help the Environment! Your recycle car, newer vehicle, RV, motorcycle, or boat – there is value in your vehicle and we look at each donation individually. Like you, we want to see your charity get the best benefit! We guarantee excellent customer service as we see to every detail of your recycle car gift. Your recycle car may have one last role to play before its last ride: by donating your car you can simply and efficiently benefit the cause that matters most to you. With no costs and minimal effort for your charity we will ensure that your recycle car gift can bring help and support where they’re most needed.